With an upcoming fall wedding (well, I haven’t technically been invited yet, but I know the invitation’s coming since I helped make them) I have autumn colors on the brain. This started out as a possible wedding invitation, but by leaving off any type of “you’re invited” sentiment, it’s general enough to use for any occasion really. 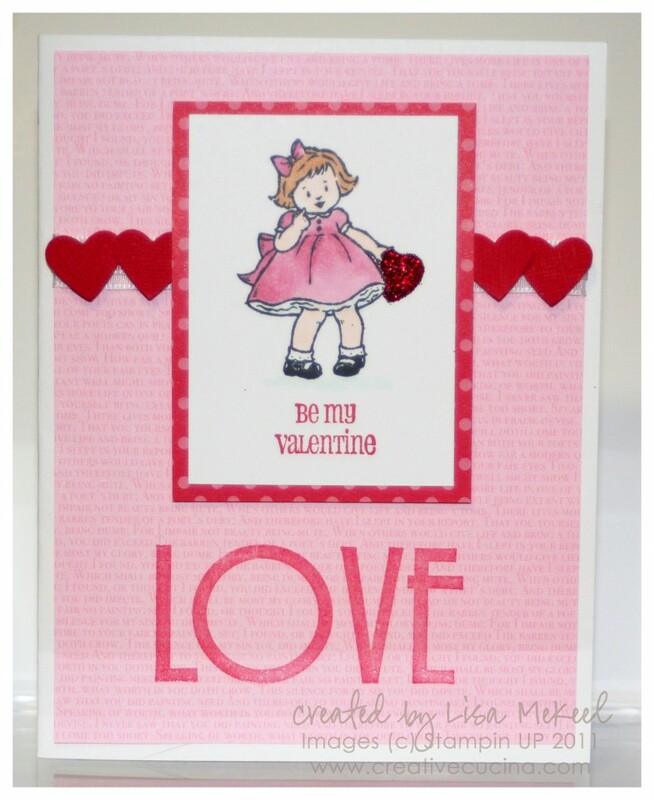 This card is 5″ x 7″ finished size, with the base color being Crumb Cake. 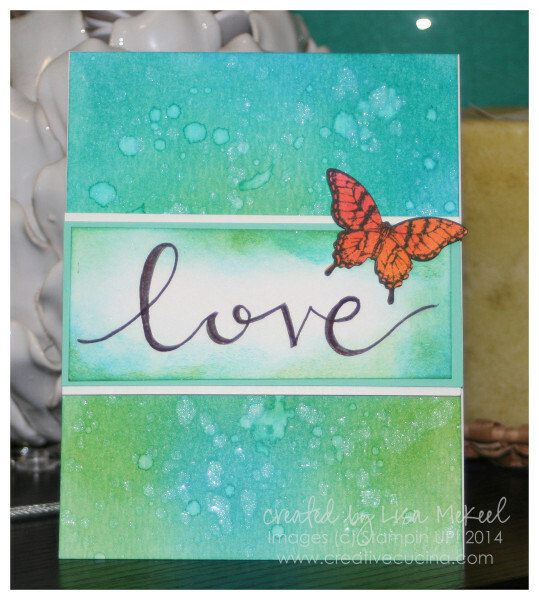 I stamped the front with the Woodgrain stamp in the same crumb cake ink. Across the front, I added a strip of chocolate chip card stock, paper pierced along the bottom. 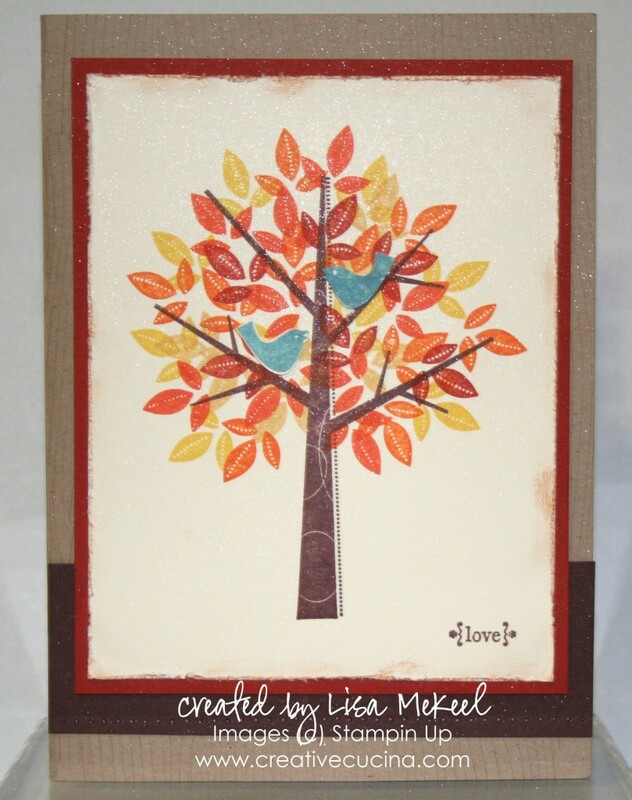 The main image is from Season of Friendship, stamped on Very Vanilla card stock in chocolate chip ink for the trunk, so saffron, pumpkin pie, and cajun craze for the leaves. As for the birds, I stamped them in taken with teal ink, then cut them out. 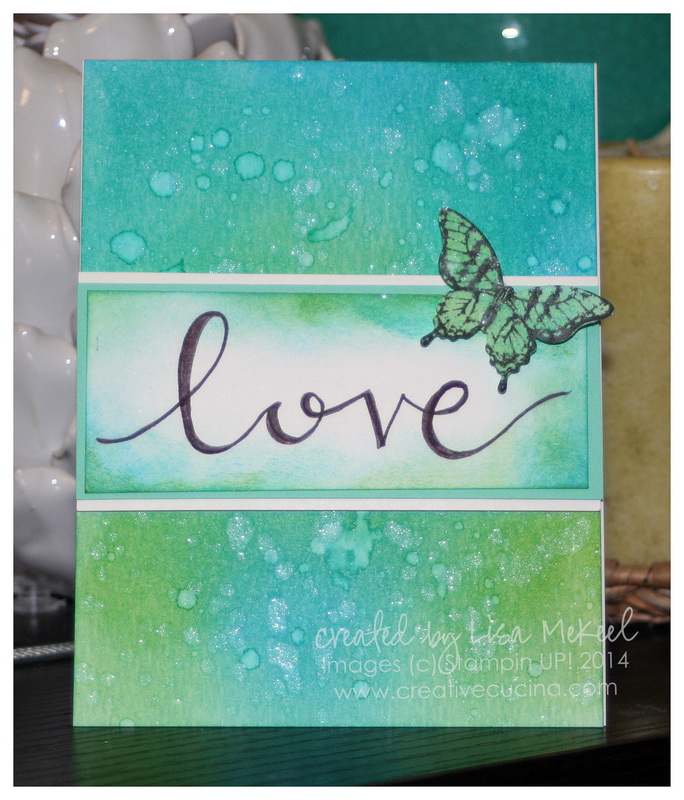 In order for them to face each other, I turned over one of the birds and stamped all over the back with the stamp and taken with teal ink. 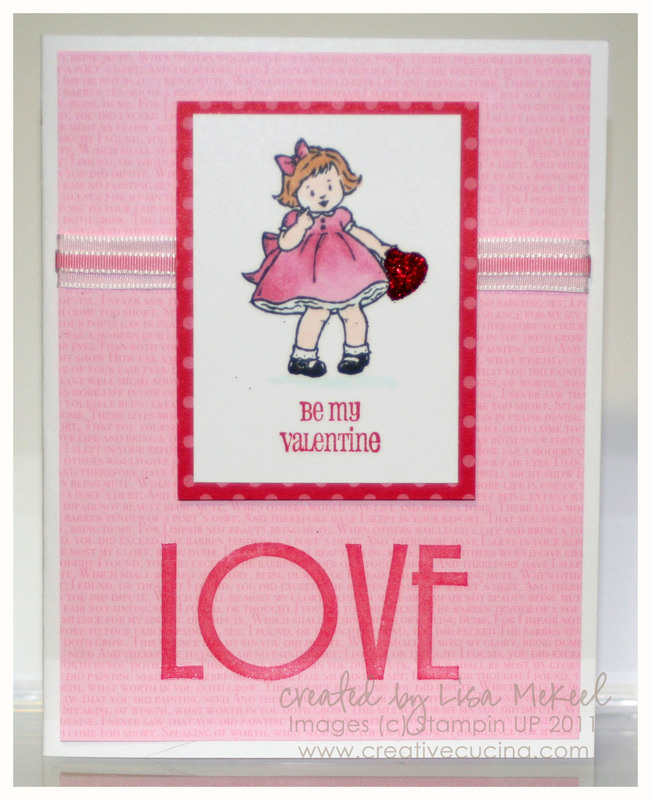 Then, I used the White Gel Pen to make a little eye and that’s it–now they’re love birds! I attached them to the tree with 2 mini glue dots each. 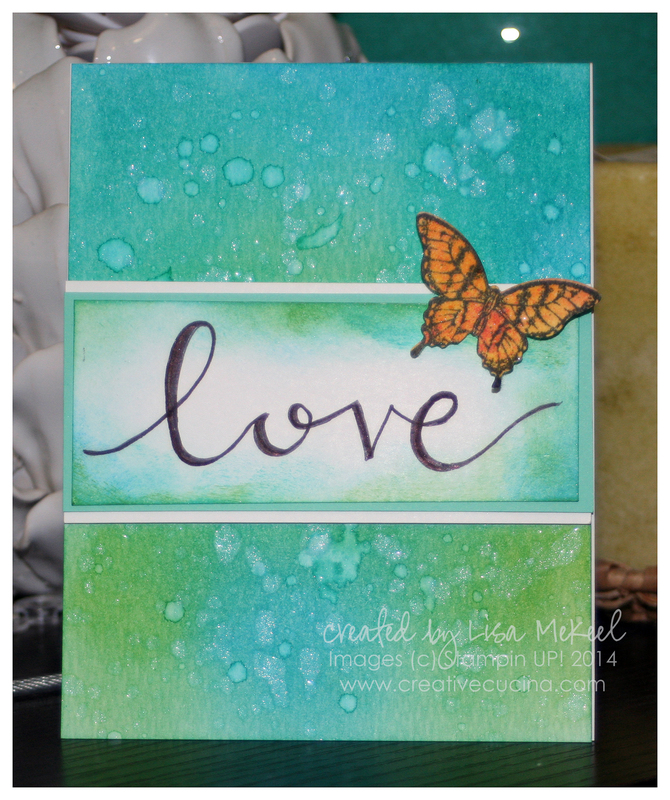 In the lower corner, I stamped “love” from Tiny Tags in chocolate chip ink. I LOVE those little brackets–they are too cute. I distressed the edges of the very vanilla card stock with the Cutter Kit distressing tool and rubbed some Creamy Caramel ink around the edges with a Sponge Dauber. Then, the very vanilla was layered with Cajun Craze and attached to the base. Finally, I sprayed the whole front of the card with Shimmer Mist that I made using 70% Rubbing Alcohol and Frost Shimmer Paint. Until the invitations are mailed, I don’t want to post a picture and spoil the surprise–so be on the lookout for the invitation that made the cut!